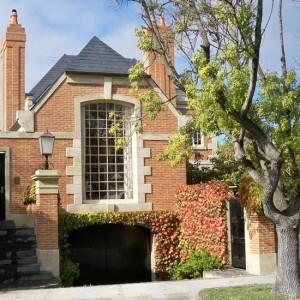 I have had the pleasure to work on several homes dotted throughout the urban vicinities of Melbourne, updating interiors as well as exteriors of well-established early century homes. The briefs for each were varied, but all centred on retaining the original charm but giving the interiors the flash of modernity coupled with the elegance of the original era. 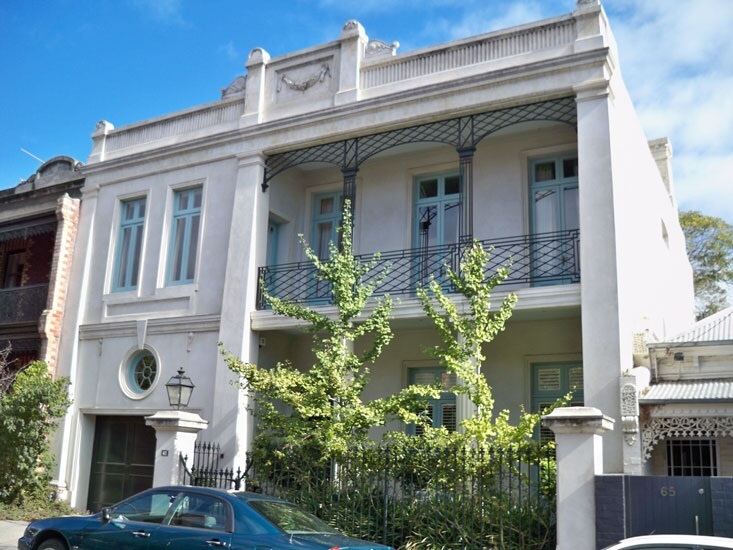 One great example is Leopold Street in South Yarra: A street famous for the “redevelopment”of its Victorian 19th century houses into modern houses of the 1960’s. Beautiful cottages vandalized with the painting of the beautiful brickwork, installation of inappropriate windows and the building of high brick fences. 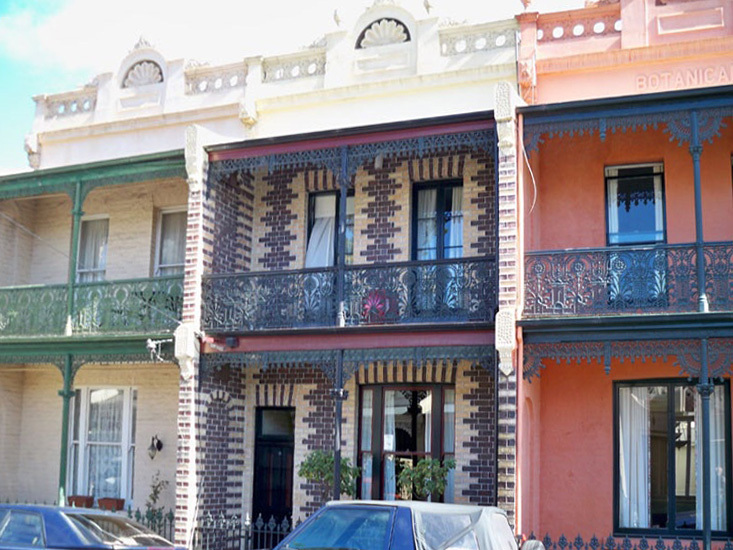 Two of these 3 houses have had their facades restored. 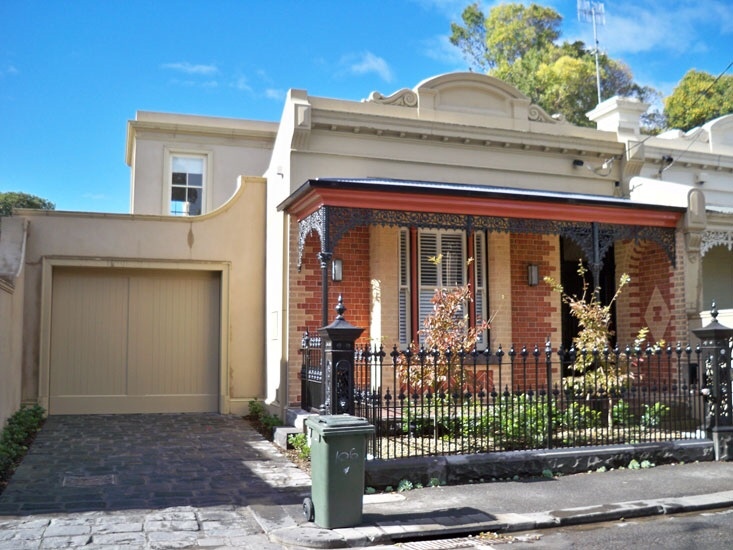 Restoration of the third example was impossible; the damage was too great and a new facade had to be interpreted that allowed for the existence of the garage incorporated in a previous renovation of the property. Sth Yarra, Leopold Street, Project 2. Restored to original character. 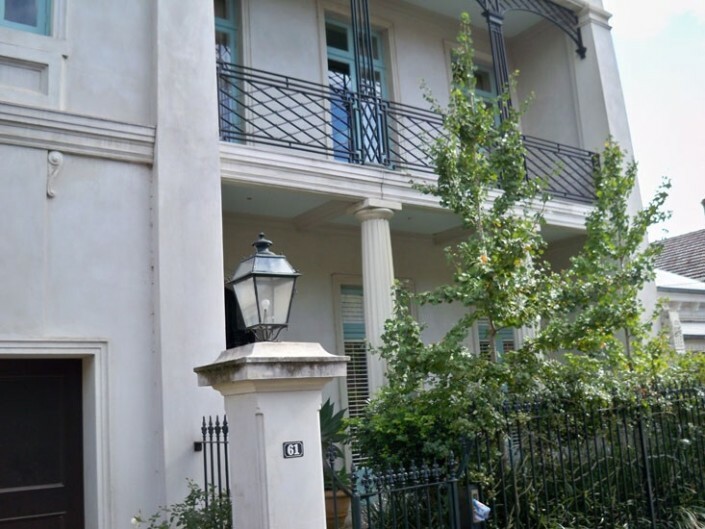 Sth Yarra, Leopold St. Project 3. Restored facade and new extension.